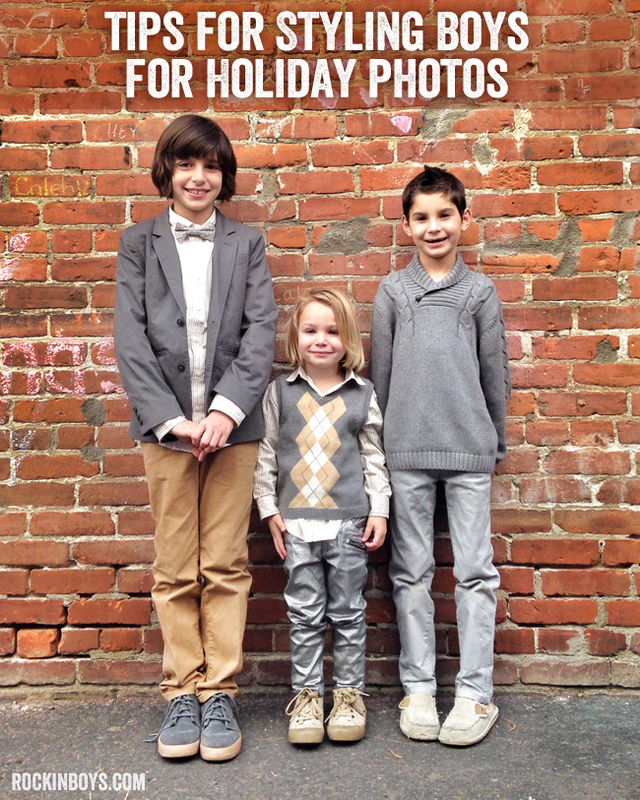 Dressing three boys up for holiday pictures may sometimes feel like a daunting task, but it can also be a lot of fun. I love to dress my boys up for the holidays, and I like them to match, however not identically. It would be easier just to buy the same outfit in three different sizes, but having boys wearing toddler, little boys and big boys sizes, it’s not always easy to find identical outfits. And besides, I don’t really want them to be dressed up in twinsie outfits anyways. I have found the easiest way to start collaborating a group look, is to first pick a color scheme. This year, I really wanted to use beige, creams and grey. When I found the sweater vest my youngest is wearing at Janie & Jack, I knew it would be the piece of clothing I would build the boys outfits around. It had the colors I wanted in it, and it was simple enough that I could mix other patterns with it if I needed to. Then, before I went shopping to get the rest of the boys outfits, I went to their closets to see what I already had and could use. All the boys had beige pants, Kyle had a pair of light grey pants by Denizen for Target, and my oldest had a grey blazer by Shaun White for Target. They also each had a pair of shoes that were grey or beige. I then went to work looking for the rest of the items. My first stop was Janie & Jack because I had already picked out the sweater vest from their and knew I would find coordinating pieces. I bought Jack and Vann matching button down shirts for around $21 each, and found this great cable knit cardigan on sale for around $30. Then I went hunting online to find a few more pieces to tie the looks together. I checked out Gap and found Jack a grey bow tie on sale for $5 and camel pants for only $15. I would’ve let him use his beige pants, but I liked the richness these ones had and he needed a new pair anyways. The boys outfits were pretty much compete, I wish I had found a different pair of pants for Kyle, and last minute I found these silver pants for Vann at H&M for under $20. I usually shop this way each year when I am styling their holiday outfits. First finding the one piece of clothing to build their looks around and then building upon that. 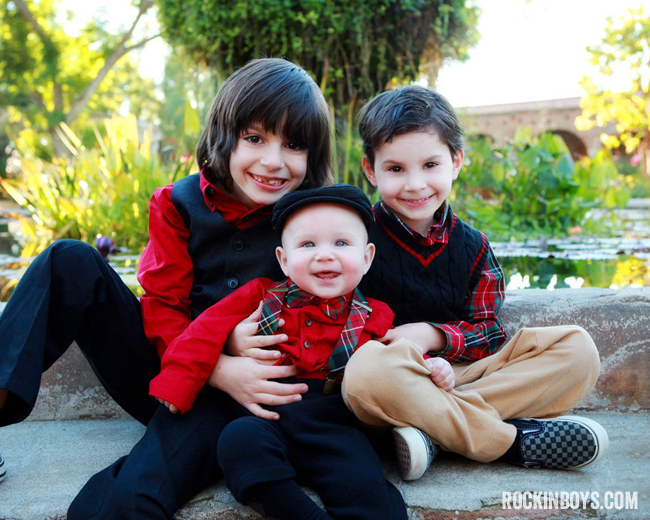 For Christmas of 2010, I found this Christmas plaid shirt and built my boys outfits around that. When you are styling, try to be age appropriate. I like to have my oldest wear the most grown up look, and I tend to have the youngest wear a hat or cute accessories. The pants for my middle boy…. and the hat for the youngest. Then I built their outfits from there…ALWAYS starting in their closets to see what we already have. As you can see, you can create a great matching looks for multiple boys, while not being identical, and working with each ones personalities. By layering, adding accessories and being eclectic, you can create fun looks with personality and style. Don’t be afraid to mix prints, mix dressy with casual or mixing brands. I tend to have a minimum of 4 or more different clothing brands in my looks. 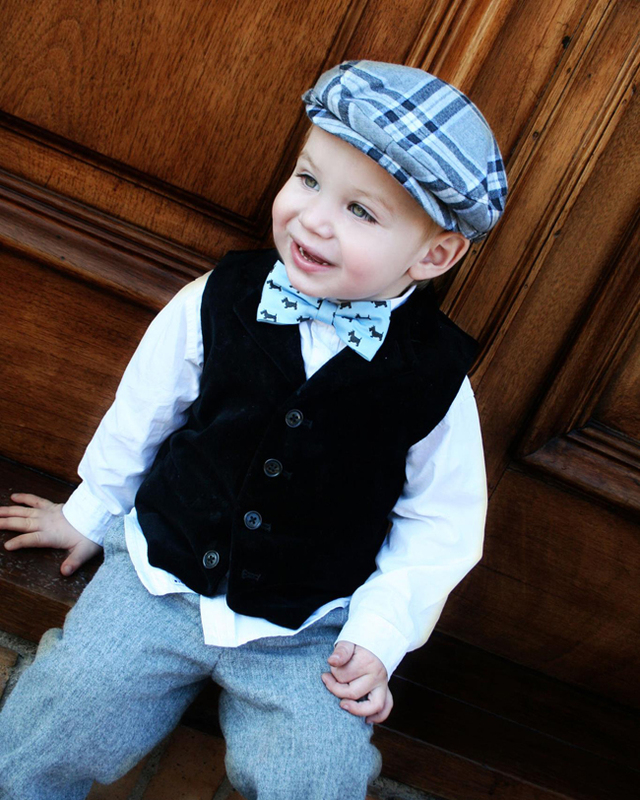 I also try not to have each boy wear the same type of clothing, so if the middle one is wearing a sweater vest, I will have the other one wear a coat, and the youngest wear a vest and bow tie. And have fun! 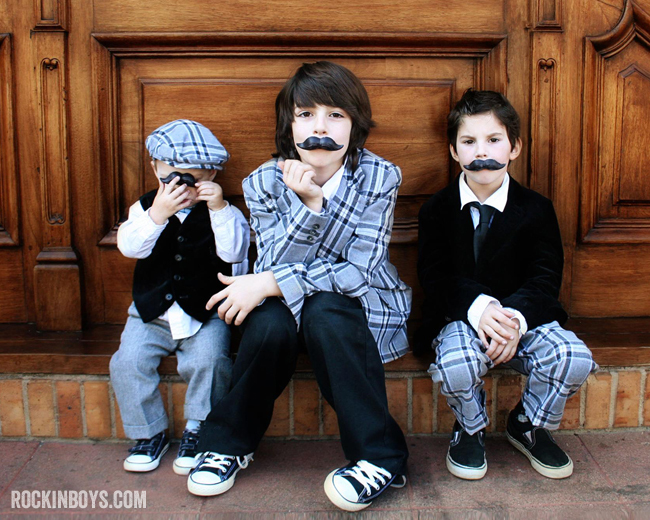 Adding props, letting boys be boys, and not being stressed are keys to having fun dressing up boys for the holidays. If your boys don’t like wearing belts, then don’t make them…just untuck the shirt and wear a vest or a loose tie with it. 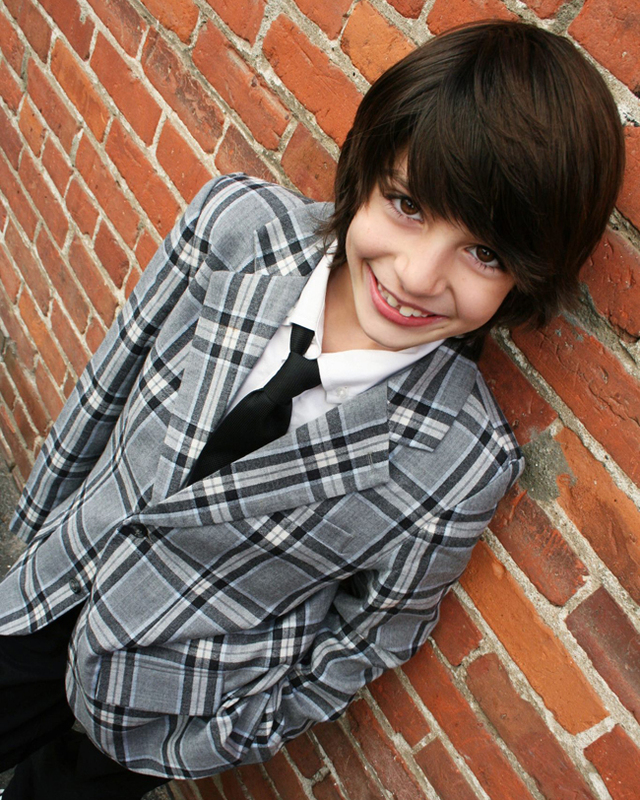 Work with your child’s likes and dislikes…if you know your oldest will wear the sport coat without complaining and your middle one will fuss wearing it, pick the oldest to wear it. Choose items accordingly to what they will or will not fuss about. 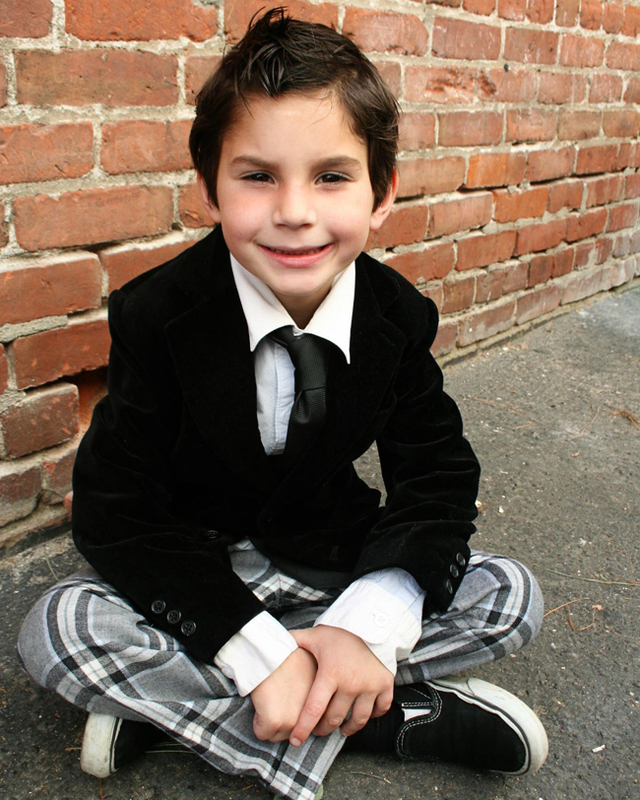 Some of my go-to places I that I tend to buy my boys clothes for the holidays are the following…. of course there are many many kids clothing stores out there, so go to your favorites. 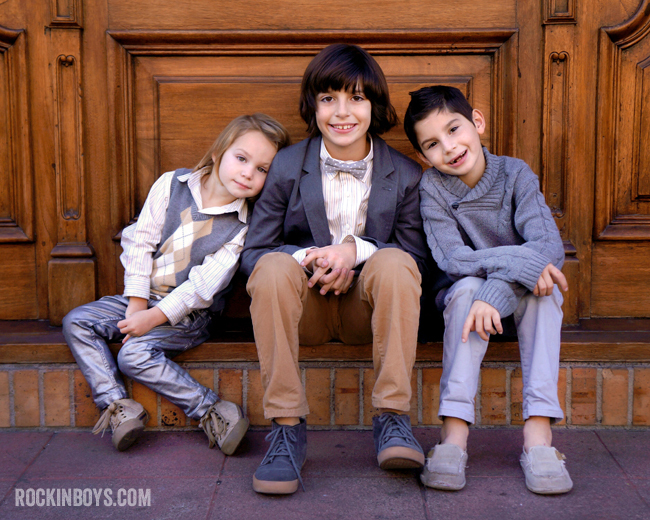 AND have fun…dressing boys can be really fun and not as hard as you think to make them look stylish and hip.